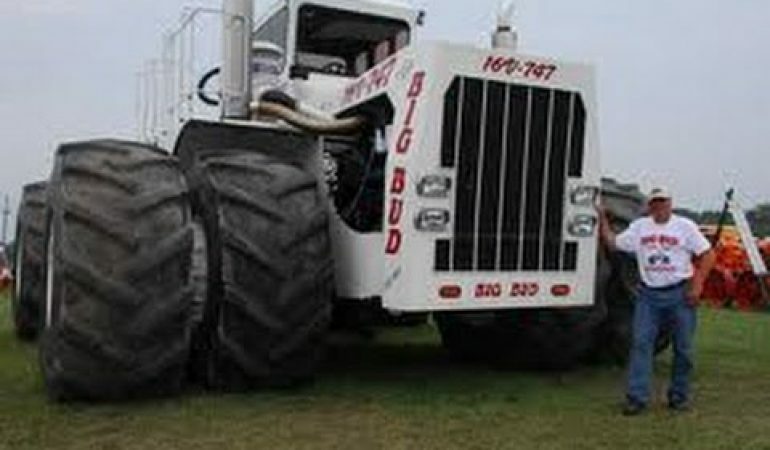 Measuring 26 feet in length, 20 feet in length and 14 feet in height, this machine called the Big Bud is the largest and meanest tractor in the world. Powered by a 900 HP engine, this 50 ton tractor was custom made for the cotton factory in US back in 1977. Only one example was made and this is it. Let your jaw drop because this is one of a kind tractor.